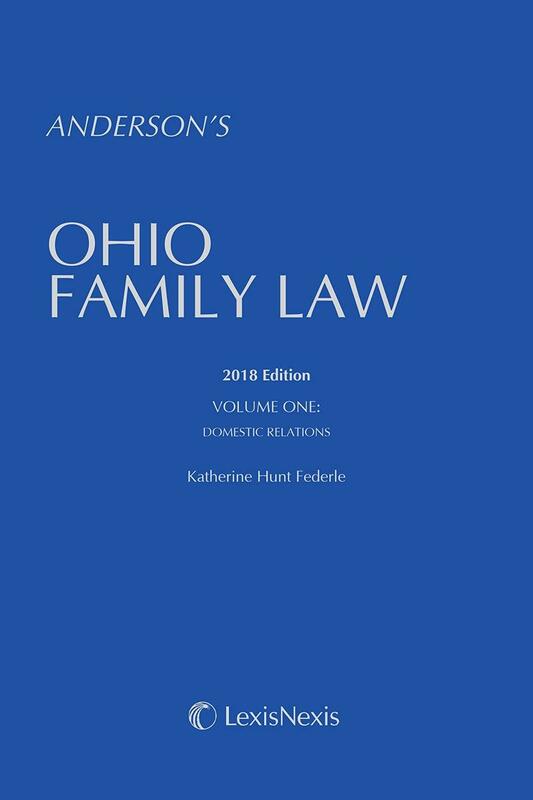 Anderson's Ohio Family Law is the essential two-volume set addressing the legal issues in the ever-evolving Family Law arena. 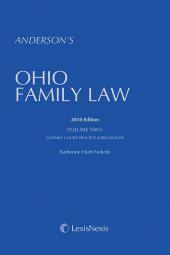 Volume One presents an overview of domestic relations and Volume Two covers juvenile court practice and procedure. Katherine Hunt Federle is the Joseph S. Platt-Porter Wright Morris & Arthur Professor of Law and the Director of the Center for Interdisciplinary Law and Policy Studies at The Ohio State University Moritz College of Law. She teaches Criminal Law, Family Law, Children and the Law, and Adoption Law. Professor Federle received her B.A. in History from Pomona College in 1980, her J.D. from Seattle University School of Law in 1983, and her LL.M. in Trial Advocacy from Georgetown University Law Center in 1986. She began her legal career as a public defender in the state of Washington. She then received a prestigious E. Barrett Prettyman Fellowship from Georgetown University Law Center, where she supervised third-year law students in the Juvenile Justice Clinic and represented children and adults in both the D.C. court system and the federal courts. Professor Federle began teaching in 1986 at the University of Hawaii School of Law, where she held a dual appointment as a researcher at the Center for Youth Research. She subsequently joined the faculty at Tulane Law School in 1990 where she taught Criminal Law, Criminal Procedure, and Juvenile Law. Professor Federle was selected by the 1996 graduating class to receive the Felix Frankfurter Distinguished Teaching Award. Professor Federle has been especially active in the field of juvenile law. She is admitted to practice in Ohio, Washington, Hawaii, and the District of Columbia, and draws on her extensive experience as a lawyer for children in her teaching and writing. Professor Federle has given Congressional briefings on law-related education and child witnesses, has spoken and presented papers at conferences across the country and around the world on issues pertaining to children's rights and criminal law, and has written numerous articles on the rights of children. She is also the author of CHILDREN AND THE LAW: AN INTERDISCIPLINARY APPROACH WITH CASES, MATERIALS, AND COMMENTS published by Oxford University Press. 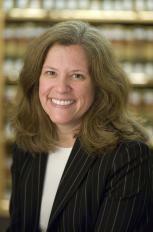 Professor Federle serves on the Editorial Advisory Board of the International Journal of Children's Rights, was a member of the American Bar Association Litigation Section's Children Rights Committee Working Group and is a past co-chair of the Child Welfare Subcommittee of the American Bar Association Litigation Section's Children's Rights Committee. She also served as a past chair of the American Bar Association Family Law Section's Committee on Juvenile Law and the Needs of Children and helped draft the ABA's Standards for the Representation of Children in Abuse and Neglect Cases. She has been recognized for her work with the American Bar Association Family Law Section, the Children's Rights Committee of the American Bar Association Litigation Section, and the Ohio Association of Criminal Defense Lawyers.